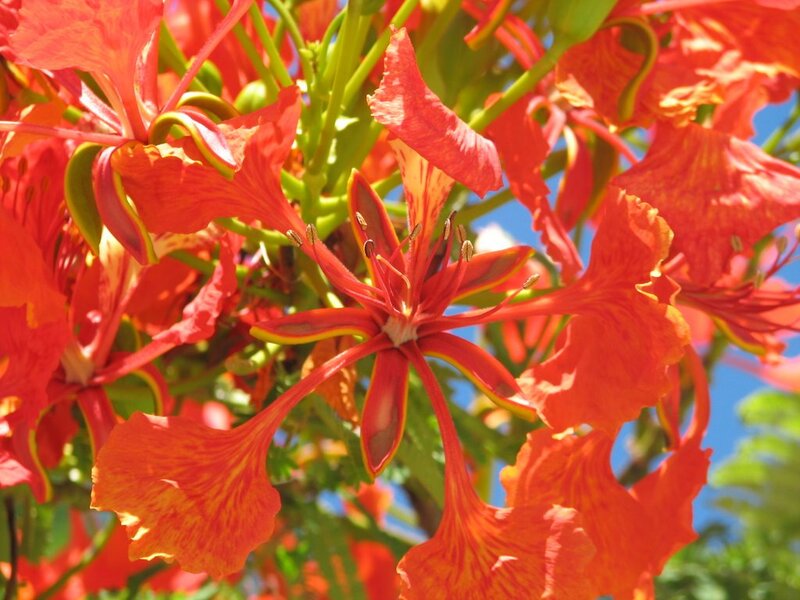 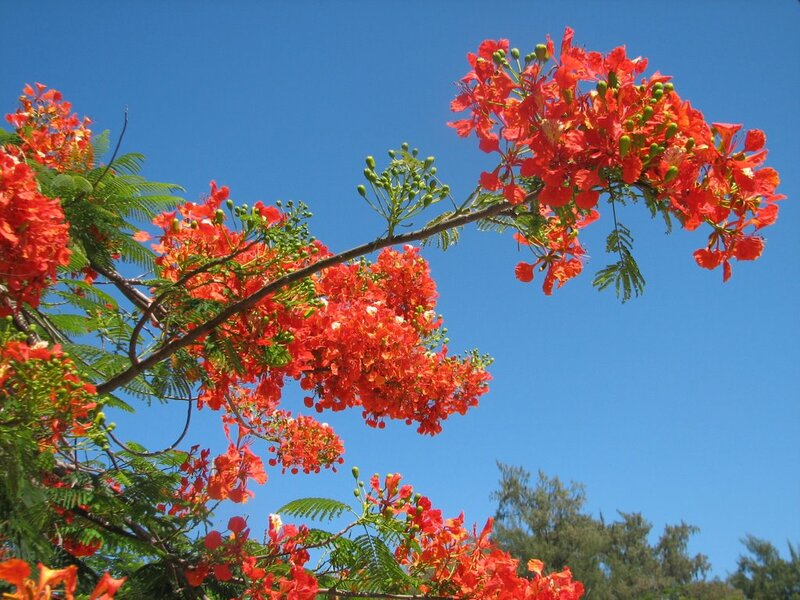 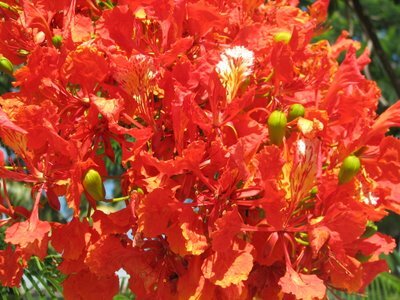 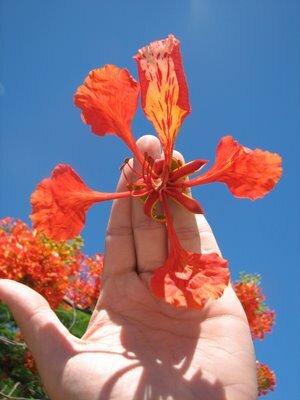 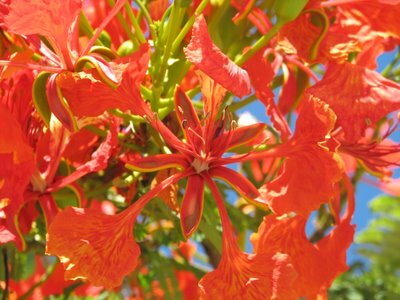 Although Flame Tree season ended about a month ago, there are still a few trees out there putting out bright red flowers. 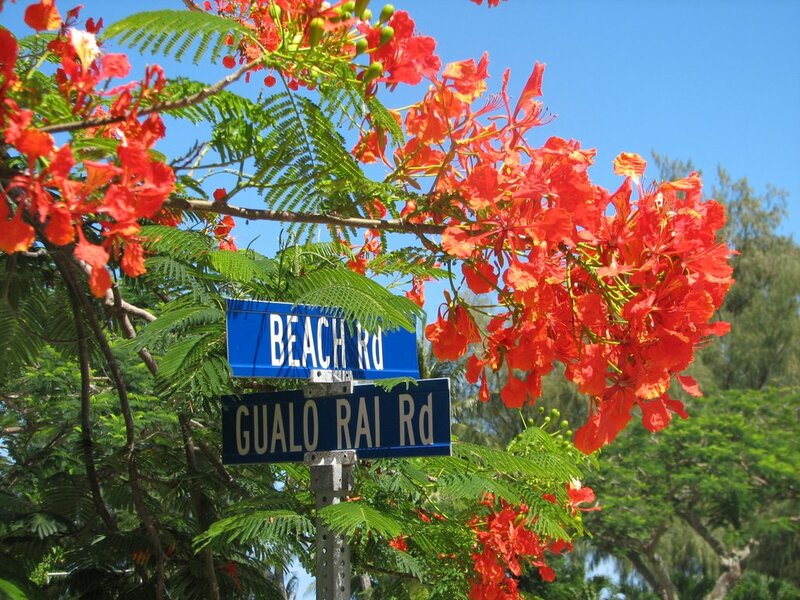 There is a particularly stunning tree in bloom right in front of Saipan Grand Hotel. 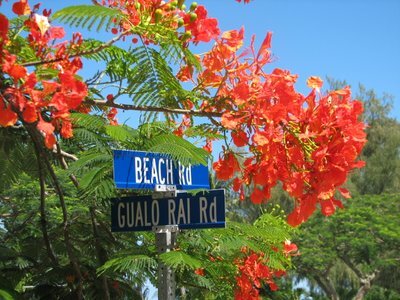 There is also one on the corner of Beach Road and Gualo Rai Road, which is where these pictures were taken.